news and commentary Mixed messages mislead mothers: Danone does it. Some time ago I checked the Amazon page for my book Milk Matters: infant feeding and immune disorder, curious to see what sponsored advertisements might turn up. I was not very surprised to find advertisements for three infant formula companies. A Danone link listed what seemed like 10 positive facts about breastmilk. How factual where the statements made and what was their overall impact on a naïve reader? Well, let’s go through it. 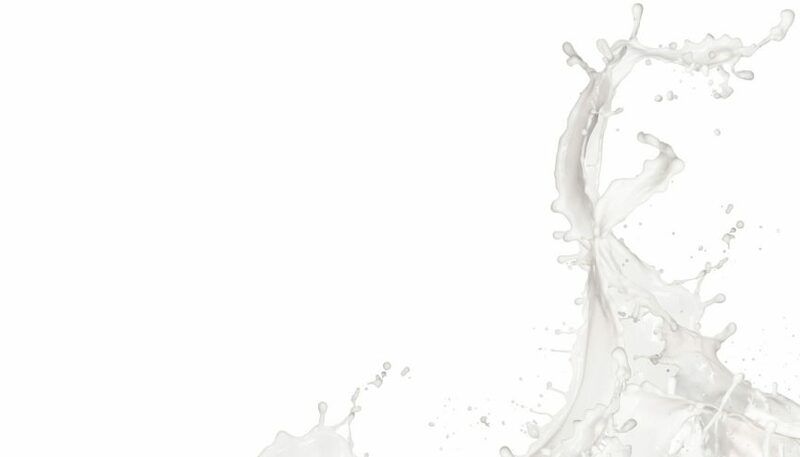 The first big emphasis is on the variability in women’s milk. Beneath that we read that the breast milk of a healthy mother has the perfect combination of nutrients and immune modulators. Let’s put that into the context of an under-confident Western mother who agrees that breast is the ideal, best for all babies – but who knows that her diet is not perfect, her health is not perfect, her local environment is contaminated, and she’s inherited allergy problems. The result of this emphasis on milk variability is often for mothers to believe that while breast is best, their breast milk is a lot less than best, so it’s good that formula companies know what ‘the perfect combination’ is, because surely those clever people can match it. Strangely, the variability that makes breastmilk uniquely tailored for each individual child, helping that child adapt to its environment and benefit from its mother’s life experience, and containing pluripotent stem cells that can help remedy some prenatal harms – that variability does not come through these messages. And look at the order of the list: maternal diet and health comes first, while it is highly likely that these have less of an influence than genetic background or unique ways in which breast milk changes over time, beautifully aligned with the gender and the changing needs of the child. The overall message mothers might get? Breastmilk is a tricksy changing thing that can’t be relied upon, that is not dependable, unlike a manufactured product which can achieve perfect consistency (as only the naive believe). Then it adds that ‘the first few days of breastmilk is called colostrum which is rich in antibodies for helping to develop both the digestive and immune systems of the infant.’ The overall message that some might read into this? a few days of breastfeeding is all you really need to develop the digestive and immune system. Danone’s other advertising about prebiotic oligosaccharides – seen everywhere – means that formula companies are supplying the important part of breastmilk, singled out here as being oligosaccharides; and that companies will probably be able to add those other things though presently they can’t. Meanwhile, the whey:casein ratio matches that of their infant formula. Or does it? Not according to most authorities, which see whey:casein ratios in milk as varying, with breastmilk closer to 80:20 or 70:30 than 60:40. Oops. Formula companies have made much of whey:casein ratios since the 1980s, when they changed from casein-dominant to whey-dominant formulas. But that is only a crude measure of protein quality. There are hundreds of proteins in both breastmilk and cow’s milk which result in widely different amino acid levels in infant blood. Those amino acids are neurotransmitters that help determine growth, that build tissue, that help control development. It is just not possible for any company ever to provide the quality or ratios of breast milk protein without using women’s milk as the base for their product. (And even then industrial processing would affect the protein quality!) Cow’s milk is designed to grow a calf. Calves need to be big quickly but do not need to learn to speak. The differences in infant brain development that are now being accurately recorded by MRIs undoubtedly relate to the quality of nutrition rather than to crude measures of quantity. I omitted the fact that Danone reports that the major change in breast milk composition during breastfeeding is the proportion of fats. Fat. Not lipids, which would match with calling industrially-produced carbohydrates oligosaccharides. Fat is a bogeyman for many Western women. There are all sorts of subtle implications in saying that fat varies in breastmilk. They don’t say that lipid composition of milk, the types and amounts, changes with the changing needs of the growing brain (and formula cannot do that.) They don’t say that no synthetic fat mixtures can match the quality of breastmilk fat, or that fats in formula are sourced from tropical oils, GM algae and fungi, and a huge range of animal and vegetable fats, many extracted using chemicals that leave worrying traces. They leave hanging the possibility that some women’s milk is too high in fat, or too low in fat. It’s easy to think some breastmilk will have the wrong sorts of fats because of what mothers eat. Fat is variable in breastmilk. What mother has the perfect fat blend? Again, under-confident mothers will not assume that they do. They are bombarded with messages about bad fats in their diet, and most of them love chocolate! Danone doesn’t tell mothers that while lipids do vary in breastmilk, diet alone does not determine fat composition, and the lactating female body always makes those “Gold” fats that industry employs GM organisms to manufacture, or squeezes from fishheads and deodorises asap before they smell too strong. Of all the myriad facts about breast milk that could be shared if the goal was to support optimal infant feeding, this is a curious selection. However Nutricia tells us that they focus on understanding the composition, structure and functionality of human milk ingredients to better understand the early life nutritional needs of infants. What an altruistic endeavour! The purpose of Nutricia research is to better understand the needs of infants. Not to make a commercial product or to reduce the defects of its present products. Above all not to make money for shareholders. Nor is it to supplant the one product that truly meets the needs of infants, women’s milk. No, this is an altruistic endeavour and they are reaching out to women via the internet to support them in their efforts to breastfeed. Of course that all gives me a really warm glow. Which burns a lot brighter as I recall the revelations in Joanna Blythman’s remarkable book, Swallow This. Serving up the food industry’s darkest secrets. A book worth reading that I intend to review.